In a new report, Bank of America analyst Marcos Buscaglia discussed what he believes could be the biggest monetary shock facing Latin America since 1980. However, despite the situation that these countries are currently facing, Buscaglia believes that most are better-positioned to weather the coming storm than they were in the 1980s. The numbers indicate that Latin America, and particularly South America, is currently staring down a very real threat. 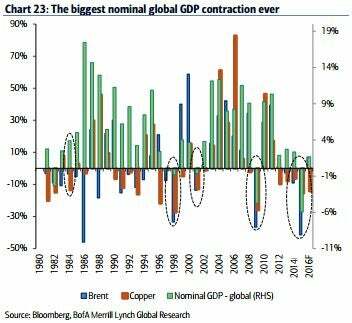 Bank of America estimates that global nominal GDP in USD will contract by $4.1 trillion (5.9 percent) this year. This contraction is a stark contrast to the average nominal GDP growth of about 6.0 percent from 1981 to 2014.